Design for print is a big area of our business. We have vast experience in print and a lot of our clients rely on us to not only design their materials, but also broker their print for them. They entrust us with this task as our knowledge and skills in artworking designs for production are first class. Simply spending money on a load of printed collateral and not thinking about what you are saying is a sure-fire way to waste cash. Ten thousand leaflets or three thousand brochures are useless if there is no clear message or narrative. Content is king. This really comes down to your brand. Your tone of voice should reflect the image of your business in the minds of your clients. Understanding your brand and the perception of your business can be challenging to work out on your own, so ask your clients why they choose to work with you. This will help to form your tone of voice in your marketing as a whole. Stages 1 to 3 are all prep work, now we get down to the nitty gritty of designing the printed materials. Now that your audience is defined, we know what we’re saying and how we’re saying it. Next step is to design the layouts of each page with a stylish look and feel that is in-keeping with your identity and brand. Creating designs that link typography with imagery by clever use of headlines, copy and negative space is a skill that a designer can bring to the project. 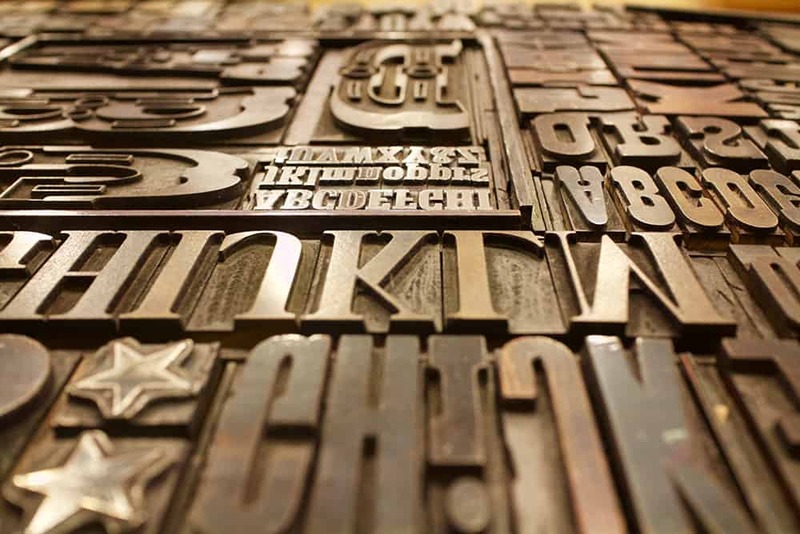 Once you’ve designed your printed materials, you need to think about having them produced. Now is the key time to decide on quantity and how you are going to shift them. The print buying process can be a daunting task for anyone that is unfamiliar with the printing industry. Understanding the intriqucies of setting designs up for production is a complex area, so working with a designer can help take the pressure off and help make the purchasing process a lot smoother.